What happens when an Irish couple with a big dream ships a pub, piece by piece, to the heart of America’s finest city? 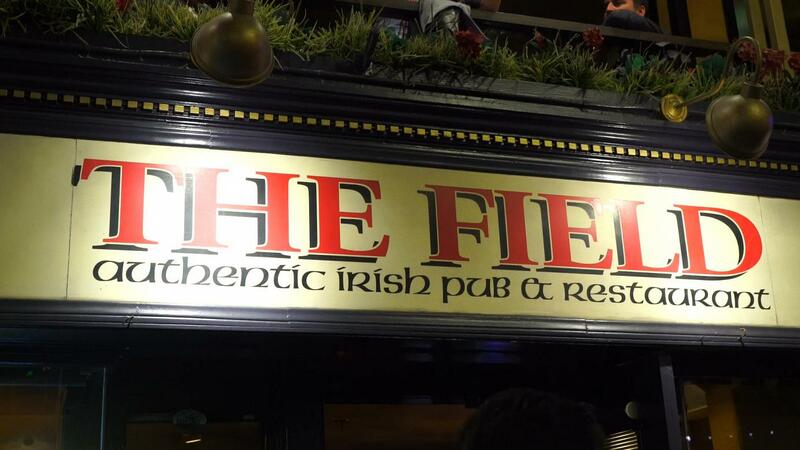 The Field Irish Pub — it&apos;s a genuine bit of Ireland in San Diego’s downtown Gaslamp Quarter. Are you planning a special celebration, holiday party or a work function? Our private party area upstairs, overlooking the bar, gives your group its own space while still feeling a part of the pub. And if yours is an extra large gathering, we can accommodate up to 200 guests with a full buy out. Brunch Menu! On Saturday and Sunday we open our doors bright and early to bring you San Diego&apos;s best Irish Breakfast. The ultimate start to the day, our traditional breakfast consists of Irish pork sausage, imported Irish rashers, black and white pudding, eggs, grilled tomato, fried potato, wheaten bread. Wash it all down with a cup of Barry&apos;s Irish Tea.